Wild Excellence Films (WEF) announced today that the cinematography for its independent film, Cathedral: The Fight to Save the Ancient Hemlocks of Cook Forest, is approximately 50% complete. 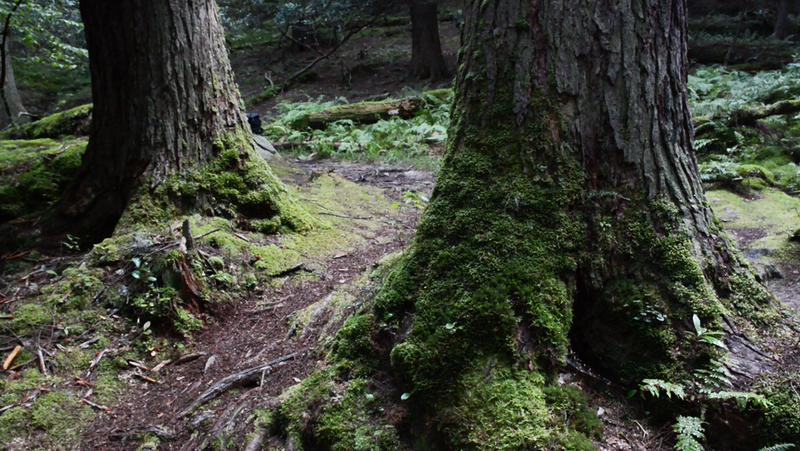 The film is a high-definition short documentary about the ancient trees of Cook Forest State Park, Pennsylvania, which are under attack by the Hemlock Woolly Adelgid (HWA)­­, a destructive insect that gravely threatens the eastern hemlock. The film tells the story of the efforts to save the cathedral forest. Preliminary shooting began in February 2015; WEF expects the film to be ready for release nationwide in late 2016. The 8,500-acre Cook Forest State Park was once called the “Black Forest” because of the thick evergreen canopy. Its “Forest Cathedral” of towering white pines and hemlocks is a National Natural Landmark. Hemlock Woolly Adelgid was introduced from Asia into the Pacific Northwest in 1924. It was probably introduced into the northeastern United States in the 1950's, and it was first discovered in Pennsylvania in 1967. The HWA was discovered in Cook Forest in 2013. “These magnificent trees are hundreds of years old and we have to do everything we can to help save them”, said Melissa Rohm, primary filmmaker for the project. The filmmakers are capturing not only the scenic beauty of the forest, its wild inhabitants, and natural history, but also the process of saving the forest and the important work being done by the Pennsylvania Department of Conservation and Natural Resources (DCNR) personnel and the Pennsylvania Bureau of Forestry. Interviews with experts in the field will explain the grave threat the trees are facing and the efforts to save them. WEF is exploring partnerships and funding opportunities that will enable the film to reach the widest possible audience.